This is a fair enough question, I think. I must admit that I had not heard of psyllium husk until very recently and I certainly could not spell it. My word processing software did not recognize it either and I had lots of little red lines in this article before adding it to the dictionary. I might have been a little slow to catch onto this recent health kick; the girls in the office knew all about it when I asked them and it seems that psyllium husk is developing a reputation for being an excellent dietary supplement with a host of health benefits and the added bonus of being an effective weight loss supplement. Let’s face it, there is any number of supplements out there that purport to help you to get rid of the flab and many fads simply come and go as quickly as the latest fashion. The weight loss effects of psyllium husk however are firmly grounded in good science and it seems to be here to stay. It is readily available in several forms, healthier and cheaper than many other weight loss supplements and can be pretty much added to anything you are eating. Psyllium husks are harvested from the seeds of the plantago plant which grows most commonly in India, Bangladesh and Pakistan. It is available either as psyllium powder or in whole husk form and is often used as an ingredient in commercial laxative products. Psyllium husk is also added to certain cereals and is increasingly being used in baking recipes for breads and other doughy products. Fiber is really good for you; we all know this, yet many of us eat nowhere near enough of the stuff. Dietary guidelines suggest that we need between 25 and 40 grams of fiber daily but that most people are not even reaching half of that amount. While we should easily be able to reach the daily recommended intake through our natural diet, more and more people are turning to unhealthy fast or pre prepared meals and it might be necessary for some to force the issue a bit by taking supplementing their diets with a rich fiber source like psyllium husk. Research has shown that those getting enough fiber are likely to be much leaner and more likely to keep weight off in the long run. There are two types of fiber, soluble and insoluble, both of which are beneficial to your health. The body cannot digest fiber and unlike other types of carbohydrates like starches and sugar, it does not get broken down and absorbed into the body and simply passes through your digestive tract. By passing through your system without being broken down, fiber contributes no food energy or calories and yet, it is still beneficial to one’s health. For one thing, fiber fills you right up; it basically works as an effective appetite suppressant. Psyllium husk is mainly an insoluble fiber and if you added a teaspoon full of psyllium husk to a 300 calorie breakfast, you would feel more satisfied than if you had not. Feeling full after your meal is not the only thing; you will also not get hungry as quickly because the feeling of satisfaction will last longer after your meal. 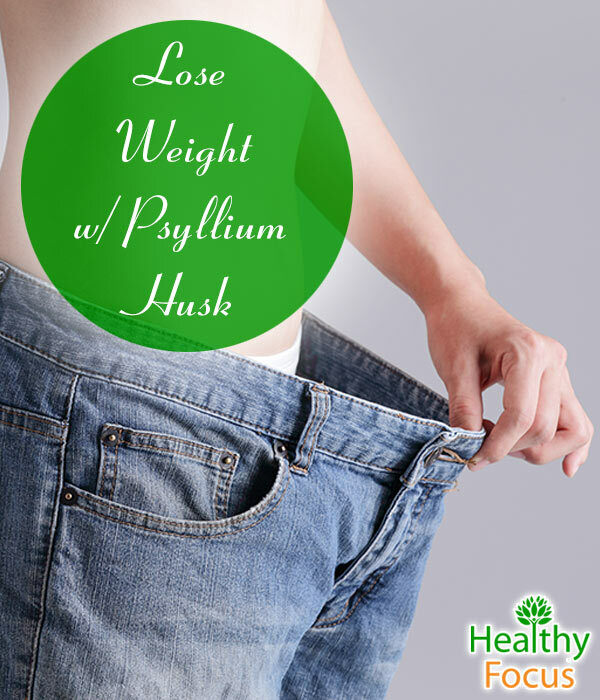 In short, you won’t feel the need to eat as much throughout the day if you add psyllium husk to your diet. Dieting can be very difficult and frequent hunger can test the best of plans so it is obvious to see how this will translate to a calorie controlled weight loss plan. There is ample evidence that the sufficient intake of fiber can help you to control weight but you are looking for hard scientific evidence regarding the weight loss benefits of psyllium husk, I will admit that it is very difficult to come by. I have however managed to find several pieces of research by searching for plantago ovata and weight loss. Psyllium husk is derived from plantago ovata. Another study published in 2008 was conducted to compare and examine he weight loss effects of a mixture of dietary fibers including psyllium husk. The study also examined the effects of these fibers on several other health factors including glucose metabolism, cholesterol levels and lipid profile. 200 obese patients were separated into randomized groups for a 16 week period and given either a placebo or a supplementary fiber combination made from psyllium husk and glucomannan. While psyllium husk contains both types of fiber, it is largely of the insoluble kind. When you consume soluble fiber, it attracts water during the digestive process and transforms into a gel.As a result, the overall process of digestion slows down and sugar is absorbed into the body more gradually. This aids weight loss by preventing any blood sugar spikes which lead to fat storage. As well as psyllium husk, other rich sources of soluble fiber include nuts, seeds, legumes and oat bran. It is miserable to be bloated; carrying around that extra mass that you cannot seem to shift no matter what you try. Constipation can be painful and debilitating to boot. Numerous solid studies have proven that psyllium husk can be used to relieve constipation. Psyllium swells in contact with water and produces greater bulk which helps your intestines to ease the stool’s passage through your digestive system. Psyllium is used as an ingredient in many commercial laxative products (like Metamucil) but before resorting to over the counter relief; try to incorporate the real stuff into your diet. It is excellent news that this humble seed can really help you to get in shape but psyllium husk is not only a weight buster…..it is a great choice for a number of other health complaints. Well-grounded scientific research has found that soluble fiber like psyllium husk interferes with the absorption of cholesterol resulting in a reduction of cholesterol in your blood stream. The benefits are obvious; high cholesterol levels are a significant contributor to heart disease deaths around the world so not only might the humble psyllium husk help you to shed those pounds, more importantly it well might prolong your life. Whether you are a sufferer or you are in an at-risk category, this is another great reason to add psyllium husk to your diet.Research has indicated that a diet rich in fiber will help stabilize blood sugar levels and reduce insulin production in those already suffering from diabetes. Not only that, but those at risk are less likely to develop the disease in future if they incorporate fiber into their diet. Because psyllium husk is so effective in absorbing water it encounters in the digestive tract, it helps the stool to become firmer making its passage slower. This makes psyllium husk an effective treatment for some moderate episodes of diarrhea and also for the treatment of hemorrhoids. Incorporating foods high in fiber content might reduce your risk of heart disease. Studies indicate that a diet high in soluble fiber like psyllium husk reduces triglyceride levels, which in turn reduces the risk of cardio disease. One recent study showed that over a 6 month period, overweight subjects who supplemented their diet with psyllium husk fiber managed to reduce their blood pressure by a significant amount. Psyllium husk is available in tablet form, which is probably the easiest way to take it but it is also available in powder and whole husk form. Your choice will depend on how you want to use it. 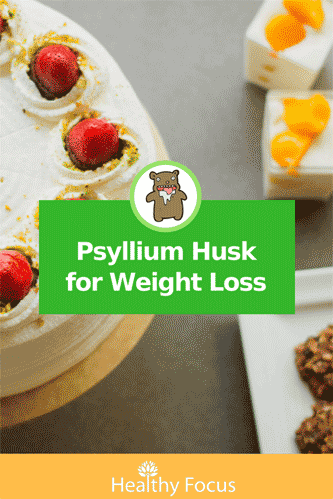 One of the great things about psyllium husk is its versatility; it can be added to your breakfast cereal or oatmeal or sprinkled on top of a yogurt. If you like baking, then why not add some psyllium husk to your bread or pastry products. A simple Google search will help you to find a variety of recipes that incorporate psyllium husk. A very simple way to take psyllium husk is to add a tablespoon of the powder form to a glass of water. You will need to mix it quickly and drink it straight away. If you don’t drink it immediately, the powder will turn the mixture into a gel and it will probably be too difficult to drink. After drinking the psyllium husk mixture, make sure that you get another glass of plain water inside you. If you are not used to drinking psyllium husk powder, it is recommended that you start with half a tablespoon but that you aim to work up to 2 tablespoons a day to enjoy its full benefits. It might all sound a bit too good to be true, but we think it is very much worth a shot. Unlike many weight loss supplements, this one is the real deal. 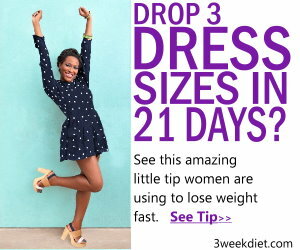 So give it a go, your body will be grateful and you should start to see some real changes in your weight to boot.